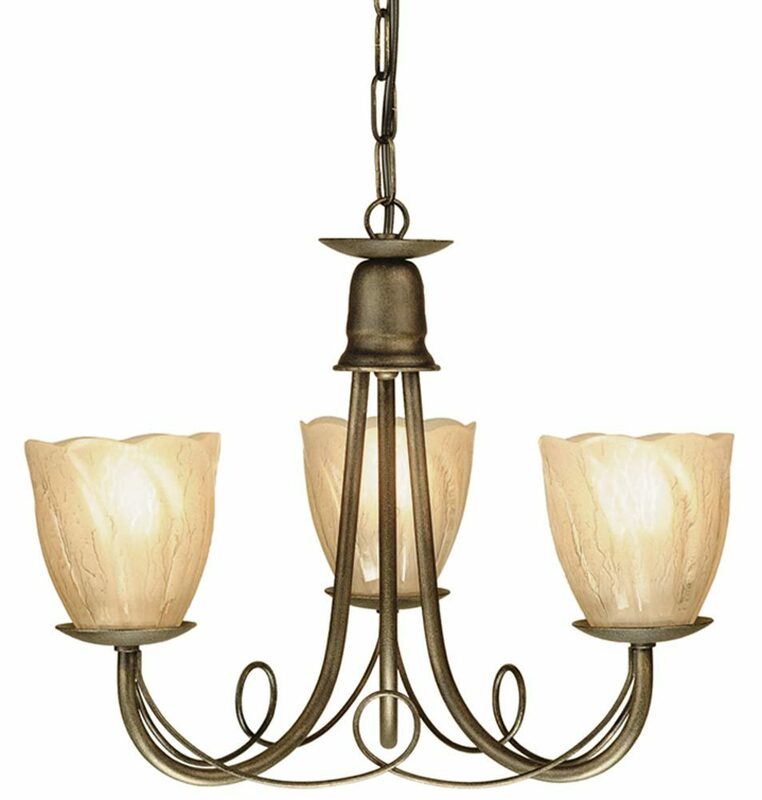 The Elstead Minster 3 light dual mount rustic chandelier in black and gold is versatile and attractive. Made in England, featuring pleasing looped drapes, easily converted to semi-flush mount and accepts optional glass shades. With a circular ceiling mount and chain suspension finished in black and gold, three curved arms with loop metalwork drapes and candle style lights featuring candle pans and ivory candle tubes. 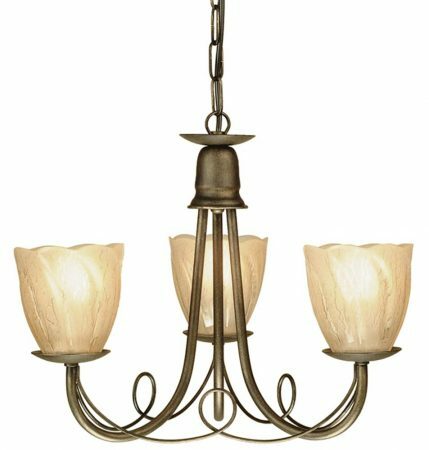 This is a dual mount chandelier that can be used with the supplied chain or with the supplied semi-flush mount for rooms with a lower ceiling. This country light is supplied by Elstead Lighting, a British company that specialise in the manufacture and distribution of quality decorative lighting such as the Minster 3 light dual mount rustic chandelier in black and gold you see here.